As you carelessly lick an ice cream cone on the beach, applying sunscreen with your other hand, a sudden cloud drifts before the sun. This can only mean one thing: It’s “Back To School” season! Woohoo! I haven’t been in school for years, but still always feel like buying new things to get ready for September. There’s something about autumn that makes me want to stock up on notebooks, new clothes and other stuff. It’s the opposite of Spring cleaning, it’s Back to School stockpiling. 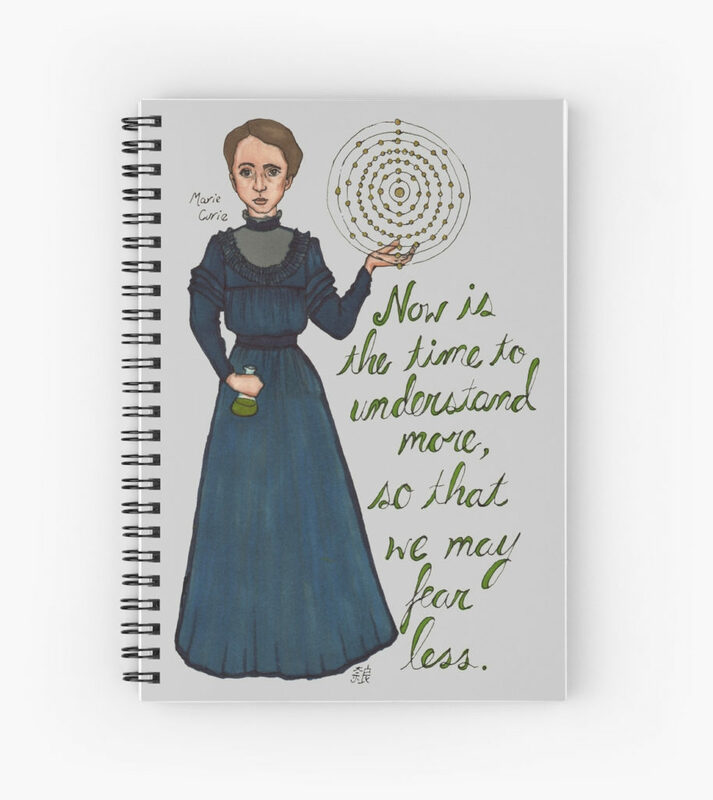 And if you’re going back to school (or back to the lab, or back to work, or – who am I kidding – you were there all through summer) you probably also want new things, preferably cool and original new science things. 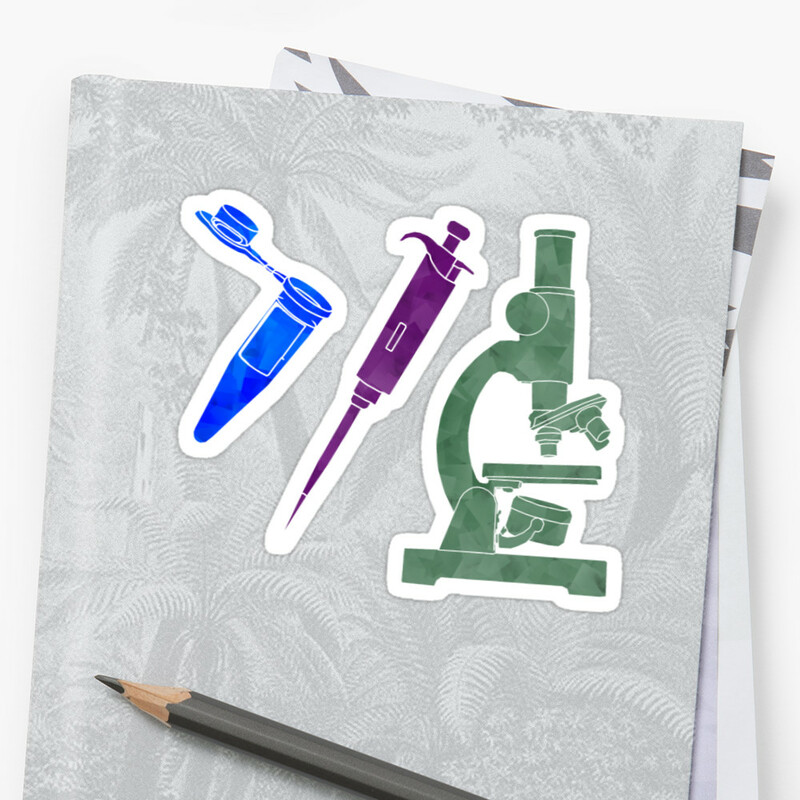 Below is a selection of some of the best science-themed goods I found on RedBubble. All of the links are affiliate links, which means that if you click through and end up making a purchase, I will receive a small commission (at no extra charge to you or to the RedBubble artist), which helps me support the site. I also receive compensation for my endorsement in the form of a coupon to the site. 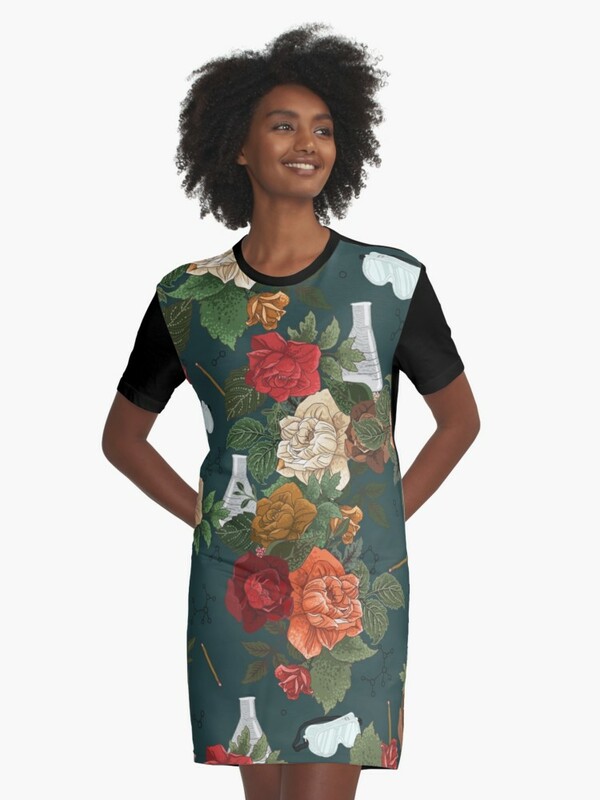 If you’re not familiar with RedBubble, note that many of the products below are just one example of a series of items for sale with that design. 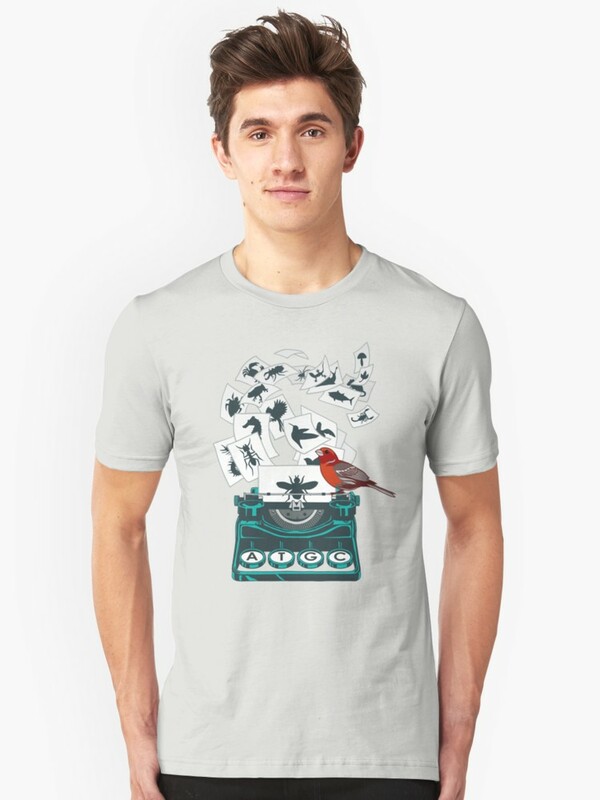 If you like the art, but not the product, click through to the product page to see if there’s another kind of item available, or check out other designs by the same artist. I featured one artist twice in the list below, but all of them have multiple designs in their store. Was there ever a better time for this notebook than back to school season in 2017? Probably not. The alphabet of life may only have four letters, but they make up every living thing on Earth! Cheaper than getting a whole new phone: just get a new case! 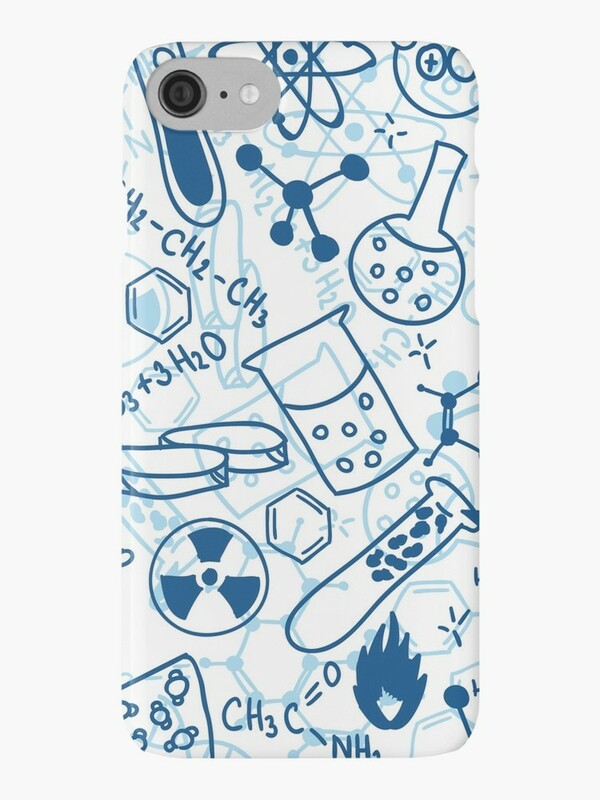 This one has science on it, so it will vastly improve whatever is wrong with your old phone. Your laptop is getting tired of that stack of promotional stickers. 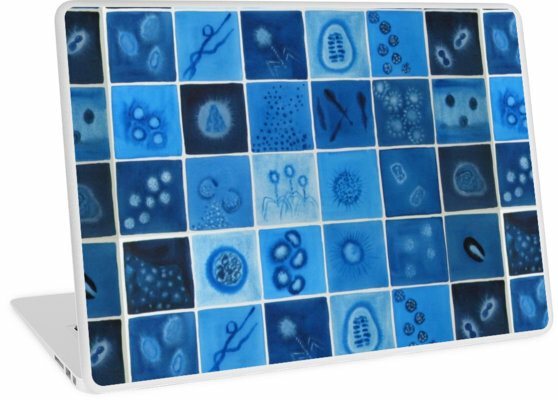 With a sciency laptop skin, it can still look unique and colourful, without the messy stickers. But if you do insist on stickers, these ones are great. Okay, this classy pattern has nothing to do with science, or…oh! It’s full of hidden lab equipment! And finally, I’m definitely getting this. 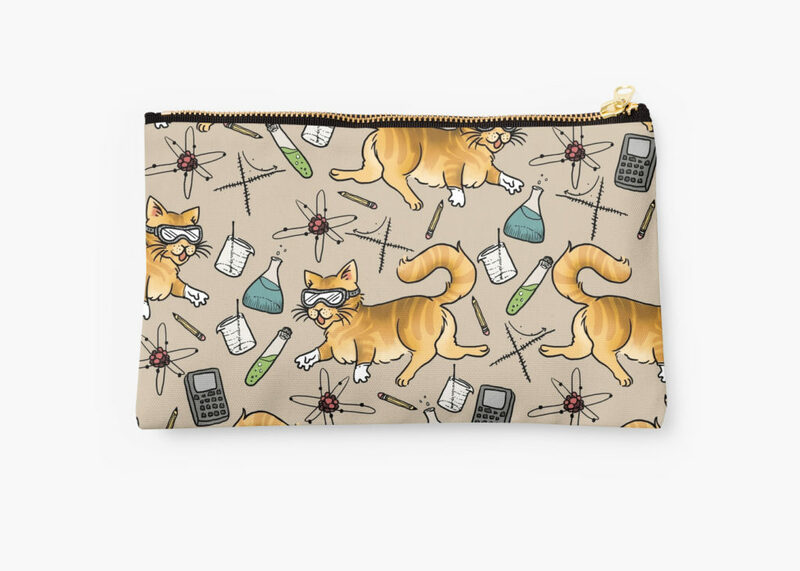 It’s by the same artist as the dress above, and it’s a pouch with science cats! I already have five pouches of various sizes to carry around small things, but none of them have science cats on them, so this one is clearly better. Where do scientists work? They’re not all in labs!